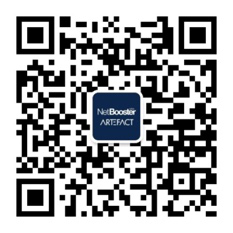 NetBooster Asia – Artefact is a marketing agency built on the perfect union of marketers and engineers. The agency works with the largest global brands to redefine the future of customer experience through new technologies, media and creative. With 25 offices across 17 countries, and 1000+ employees, we deliver three key services: Data Consulting, Performance Digital Marketing and Technology Development (Big Data and Artificial Intelligence). With more than a hundred experts in China, Hong-Kong, Seoul, Malaysia, Australia and Singapore, we want to be your strong end-to-end digital and consulting partner in the APAC region. Search Optimization Consultant (SEO Consultant) will be responsible for planning, optimizing and implementing paid search engine marketing activities with cross referencing to natural search result. • Important: Can do attitude! • Independently handle all the campaign setup, tracking, operation, optimization, reporting and insights. • Coordinate with internal creative and account team to ensure campaign deliveries. • Familiar with TSA campaign mechanism, ad policy and ad format products line. • Understand the features (pricing, advantage, etc ) of all Tencent ad product and be able to give operational recommendation to planning team. • Minimum of 1 year hands- on experience operating Tencent Social Ad Platform. • Minimum of 2 years’ experience in digital advertising adverting industry. • Strong in data analysis, traffic management, campaign optimization, tracking and reporting. • Written English is a must. • Self-motivation and strong desire to learn. • Good internal coordination and communication skills. • Act as a strong business manager of the search engine-marketing channel. Manage the revenue or KPI performance of the channel by tracking, reporting, and analyzing all PPC initiatives and campaigns; responsible for forecasting and budgeting of channel. • Become a "product expert" in various type of industry, understand the hot issues and new developments, and create an associated keyword expansion roadmap, working with the client or internal account and social team to develop relevant ads and landing page content. • Manage the day-to-day search marketing activities across multiple search engines (Baidu, 360 and Sogouetc) including the campaign planning, implementation, budget management, performance review, and optimization of paid search campaigns. • Responsibilities include keyword research (discovery and expansion), review and editing of creative copy (titles and descriptions), review and analysis of web site performance metrics, and optimization of campaigns. • Grow and optimize our keywords portfolio through testing (A/B and Multivariate) with ad copy, landing pages, bidding strategies, negative keywording, etc. • Develop near and long-term PPC account strategies, roadmaps and execute day-to-day tactics that increase revenue, site traffic, conversion and margins. • Identify and report on key performance indicators, and opportunities for improvement on a regular basis. • Drive continued innovation and best practice implementation, regularly sharing your knowledge with the rest of the search, accounts and business directors. • Prepare and execute on a SEM plan to establish an international SEM strategy in targeted regions/countries. • Stay current with new advances in search engine marketing, competitive landscape, and keyword research. The Campaign Executive is responsible for setting up, monitoring and ensuring the best in class process is adhered for all digital regular campaign & programmatic buying campaign implementations. • Operate different ad platforms and related tools such as WeChat MP, DSP, Google Analytics etc. The desired candidate will build relationships with prospective clients and business partners to develop the company's business opportunities and contribute to raising sales and develop the company's image. • Find and develop opportunities, lead pursuits and own the commercial negotiations to close new contracts. • Support manage the business unit sales pipeline to achieve targets. • At least 2 years related working experience, with a good team player attitude. • Strong communication and organizational skills, able to manage requirements in different type of projects at the same time. We are looking for someone with basic knowledge and interest/passion in programming and digital practices. You are willing to learn and gain some experience in digital marketing strategies, eager to move from active implementation to a more strategic project coordination in marketing for the FMCG and the luxury industries. • 1-2 years’ experience in project management that involves programming language, hosting environments, integration flows, APIs etc..
• Works with the Client Service Director, ensuring that client requirements/project briefs are received, converted to an internal version, and cascaded to the team in a clear, complete and accurate manner. • Reports to the Business Development Director, providing regular input on all account activity, including status and call reports on a weekly basis. • 1 year experience managing social communities on Chinese social media sites. • New skills to have: SEO, SEARCH and RTB. Senior Search Engine Marketing Consultant will be responsible for planning, optimizing and implementing paid search engine marketing activities with cross referencing to natural search result. The ideal candidate must possess a keen understanding of local Chinese search engines such as Baidu, 360 and Sogou keywords search and other paid search solutions template.